Research shows that millions of people are partially sighted and that no more than two percent use any type of low vision rehabilitation service. This type of treatment can make a difference to people’s daily lives. Optical aids may include microscopic lenses, special magnifiers, closed circuit television, computer systems and telescopes. Non-optical aids include large-print reading materials, writing guides, household helpers and games. A good example is the use of bold large-print playing cards for those who thought that they had to give up playing bridge, pinochle, etc. as well as the companionship that games can offer. Vision rehabilitation services can help to prevent falls, burns, and other injuries and can positively impact healthy behaviors in diet, exercise, hobbies, and disease management. The Alliance for Aging Research identifies vision impairment as one of the four leading causes of lost independence among older people. There is probably nothing more important that one person can do for another than to help with new information, education and the ability to increase one’s dignity and self-worth. The suggestion of Low Vision Rehabilitation can make a positive difference in the life of someone with macular degeneration. The U.S. Food and Drug Administration (FDA) recently approved Lucentis™ (ranibizumab) for the treatment of neovascular (wet) age-related macular degeneration (AMD). Wet AMD accounts for approximately 10% of the cases of macular degeneration, but it is the most severe form of the disease in terms of loss in central vision. Individuals with dry AMD are at risk for developing the wet form. Wet AMD is caused by the development of abnormal blood vessels in the central or macula region of the retina. These blood vessels can leak causing macular scarring and permanent loss in central vision. Lucentis developed by Genentech is an antibody fragment that binds to VEGF-A, a protein that is required for blood vessel formation. This interaction prevents VEGF-A from binding to receptors on the surface of endothelial cells and as a result new blood vessels cannot form. In results of two large Phase III clinical trials, 95% of patients with wet AMD receiving monthly intravitreal injections of Lucentis showed no significant visual loss over a 2 year period, while up to 40% of the individuals showed measurable improvement in vision over this time period. Importantly, this is the first time that a treatment for AMD has increased rather than simply stabilizing the vision of some affected individuals. Lucentis is a humanized monoclonal antibody derived from Avastin (bevacizumab) which was also developed by Genentech and approved by FDA for the treatment of colon cancer. One injection of Lucentis is expected to cost about $1950 with monthly injections required for maximum benefit. Avastin is over 100 times less expensive than Lucentis. However, to date there have been no systematic studies reported comparing Lucentis with Avastin for wet AMD. The successful clinical trials reported for Lucentis is a break-through in the development of treatments for wet AMD and offers hope for stabilizing and in some cases improving the vision of individuals experiencing progressive vision loss. AMD is the leading cause of legal blindness in the U.S. for individuals over the age of 55. The number of people affected by AMD is expected to increase substantially in the future as individuals live longer and are exposed to environmental insults. The development of Lucentis as a treatment for AMD is a clear example of the benefits of basic and clinical research for the treatment of eye diseases. Treatments for age-related macular degeneration are limited. Laser treatment is the only proven treatment, to date, to stop age-related macular degeneration. 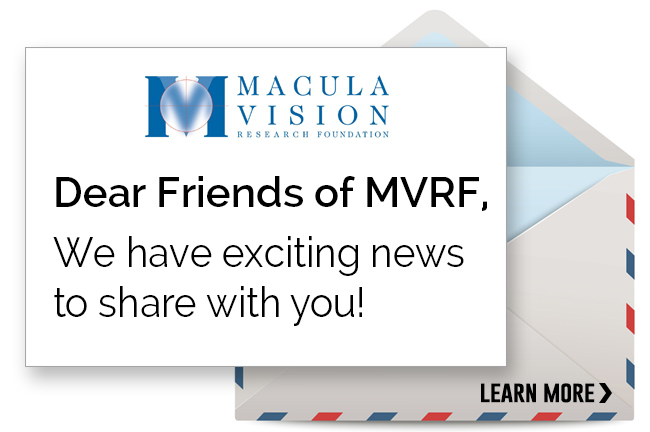 The Macular Photocoagulation Study (MPS), sponsored by the National Institutes of Health, was a multi-center study. It investigated the use of laser photocoagulation in treating patients, in the early stages of the disease, who had new blood vessel growth under the macula resulting in the loss of sharp central vision. The MPS definitely determined that the use of the laser treatment was beneficial in halting or slowing the progress of age-related macular degeneration. However, it cannot restore lost vision. Despite good visual results from laser photocoagulation, the laser treatment sometimes damages the overlying retina and the blood vessels tend to reappear in about 50% of the cases. However, the treatment is only useful for patients with severe “wet” macular degeneration-about 10% of the total number of people diagnosed with age-related macular degeneration. We do not yet know what stops or stimulates blood vessel growth within the eye. Blood vessel growth is positive in all other parts of the body. However, we wish to learn how to stop blood vessel growth in the eye to prevent macula vision loss. In April, 2000, the US Drug Administration approved the first drug to treat AMD. It treats abnormal blood vessels under the retina by combining a photosensitizing, light-activated drug injected into a vein. The drug is quickly absorbed by the fast growing “bad” blood vessels in the eye. A low-power red laser beam can then be aimed directly at the highlighted blood vessels in the eye. The therapy arrests or slows the leakage of the abnormal vessels in the eye without damaging the retina and stabilizes vision for a while. Re-treatment is often necessary because the blood vessels tend to grow back. VisionCare Ophthalmic Technologies, Inc.’s CentraSight® treatment program uses a tiny telescope implant, an FDA-approved medical device, inside the eye to improve vision and quality of life for individuals affected by End-Stage AMD. The telescope implant, about the size of a pea, is intended to improve distance and near vision in people who have lost central vision in both eyes because of End-Stage AMD. Combined with the optics of the cornea, the device creates a vision system that first magnifies objects seen when looking “straight-ahead” and, then, projects them onto healthy sections of the retina not affected by AMD. The telescope implant is not a cure for End-Stage AMD and it will not restore vision to the level it was before it was affected by AMD. In the eye with the telescope implant, peripheral vision is compromised (which is why they only do the procedure in one eye). Following a comprehensive eligibility evaluation and out-patient surgery, low vision specialists work with patients to teach them how to use the telescope implant optimally as there are there are different techniques involved when you are sitting still versus moving around. For example, patients practice scanning a scene and tracking objects as they move. Following rehabilitation, studies show that vision is significantly improved and patients experience a higher quality of life; many patients report they can read, watch TV and recognize the faces of family and friends after they adjust to their new vision. Importantly, like other patients with end-stage AMD, patients with the telescope implant will not be able to drive. Although near and distance vision may improve, driving is not be possible because the implant does not restore normal vision. The CentraSight program is Medicare eligible. As with any medical intervention, potential risks and complications exist with the telescope implant. The most common risks of the telescope surgery include inflammatory deposits on the device and increased pressure in the eye. Significant adverse events include corneal swelling, corneal transplant, and decrease in visual acuity. There is a risk that having the telescope implantation surgery could worsen your vision rather than improve it. Individual results may vary. You should talk to your doctor about these and other potential risks to find out if the telescope implant is right for you. Additional information can be found at www.CentraSight.com.